Investment opportunities with attractive rates of return in a secure investment vehicle are extremely rare and difficult to find. But what if I told you that you can invest passively in real estate and earn predictable 'mailbox money' each and every month? 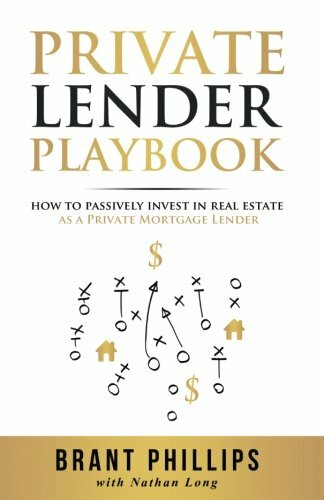 This book will take you step-by-step into a little-known area of investing: Private Mortgage Lending. Financing options available to investors who want to purchase and renovate real estate can be limited. Traditional mortgage lenders are reluctant to loan money for properties requiring extensive remodeling or repairs. As a result, the market for private money lenders has grown closing the gap in funding that traditional lenders weren't filling. Discover how to passively invest in real estate as a Private Mortgage Lender. If you have any questions about this product by Ainsley & Allen Publishing, contact us by completing and submitting the form below. If you are looking for a specif part number, please include it with your message.